Many Star Wars fans were sadden when they heard the news that Irvin Kershner had passed away. Kershner was the director of The Empire Strikes Back, which is one of the darkest films in the series. Kershner has a handful of cards, including a few autographs. 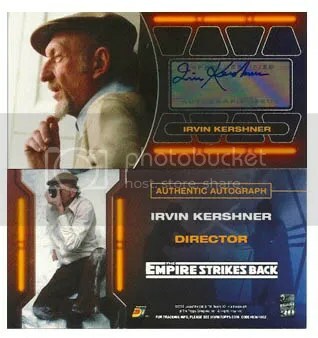 Probably the card that most collectors want to have in their collection would be the 2009 Topps The Empire Strikes Back wide-vision autograph. 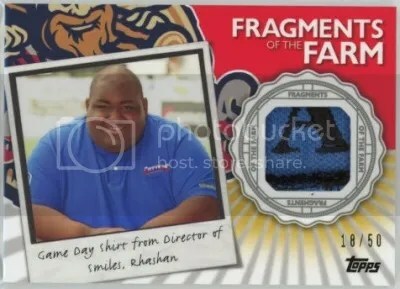 Finding signatures within this product are extremely rare and collectors pay hefty amounts for any of them. The Kershner is worth about $400.00, maybe more.